Enjoying the bright, white smile you want is as easy as scheduling one dental appointment. With Zoom! Whitening in Cynthiana, the team at Primo Smiles lifts years of staining and discoloration from the surface of your teeth. Same-day teeth whitening is perfect for weddings, graduations, reunions, and anyone who doesn’t want to wait to see results. If you’re looking for effective teeth whitening in just one dental visit, contact Primo Smiles today to schedule your Zoom! Whitening session. There are many kinds of toothpaste, whitening strips, and drugstore bleaching trays available for patients who want a more attractive smile. But in-office teeth whitening provides dependable and predictable results that store treatments simply can’t. The difference is professional application and effective products. Zoom! whitening has been used for years and produces real results in just one hour. Your treatment will be completed by our cosmetic dentist, Dr. Kerns, to reveal a whiter and more radiant smile. In addition to effective whitening gel, Zoom! incorporates the use of a special light that activates the gel and pulls stains from natural enamel. Dr. Kerns welcomes patients interested in lightening their teeth for a consultation at his office. Soft tissue health, the state of your natural teeth, and any dental restorations are noted before treatment is recommended. Patients with serious gum health issues or untreated decay may need to have these corrected before ideal results can be provided through teeth whitening. If you have dental crowns, veneers, or bridges, whitening your teeth may include replacing these prosthetics with color-matched versions to complement the rest of your smile. During the Zoom! in-office whitening process, Dr. Kerns takes every possible step to ensure your comfort by minimizing sensitivity. We recommend using Sensodyne toothpaste for two weeks before your whitening appointment and utilize an anti-sensitivity polish right after your whitening treatment is completed. We can even send patients home with dental trays containing a special gel that prevents any additional sensitivity. With Zoom!, patients can expect their smiles to be two four shades whites in one hour. This treatment is ideal for patients whose teeth have been discolored consuming coffee, tea, and wine. 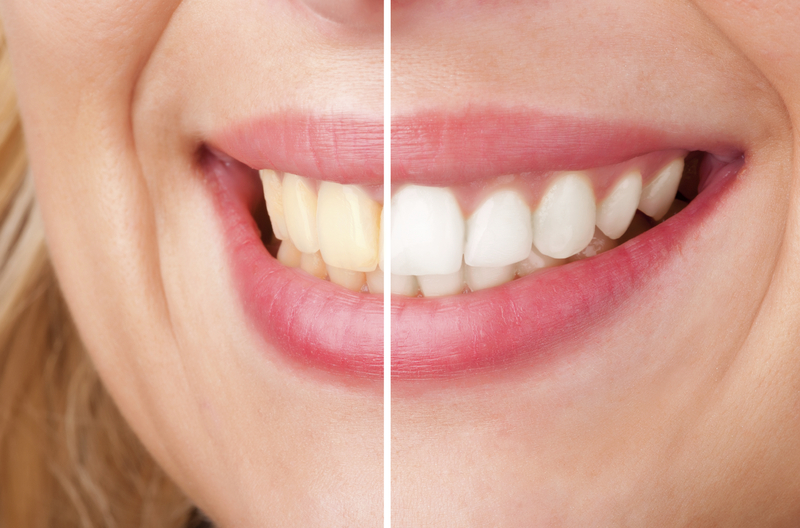 Even smokers and those taking certain medications that discolor dental enamel can see results with Zoom! Our whitening patients love their results! During your appointment, you can lay back and listen to music while our staff takes care of everything else. Contact Primo Smiles today for more information about same-day teeth whitening with Zoom!